The section of the canal from Harpers Ferry to Dam 4 (canal mile 84), below Williamsport, was completed in 1834. The dam is still in operation, more than 175 years later. The dam was a major source of water for the canal, and supplied water power to aid in moving heavy canal boats. Since 1913, it has supplied hydroelectric power. The dam was modified in 1994 to improve its hydroelectric capacity, with a height of 20 feet and a length of 715 feet. It is now owned by the National Park Service, which leases the structure to the Potomac Edison Electric Company for electric power generation in Washington County. An impressive belt drive is used to transfer power from the river water to turbines. 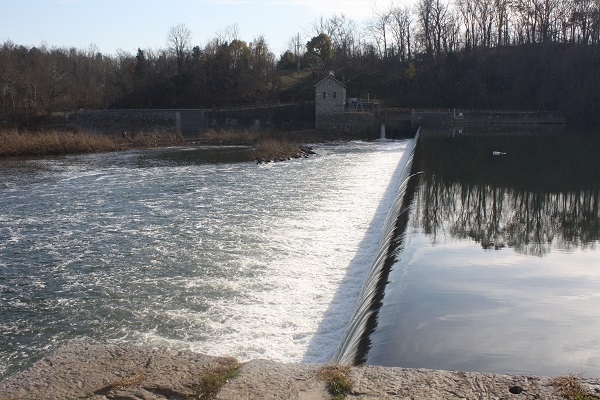 Hydroelectric sites have increased in importance in recent years, with many small sites in the Potomac valley under consideration for power generation. Dam 4 is a good example of the durability of the process.